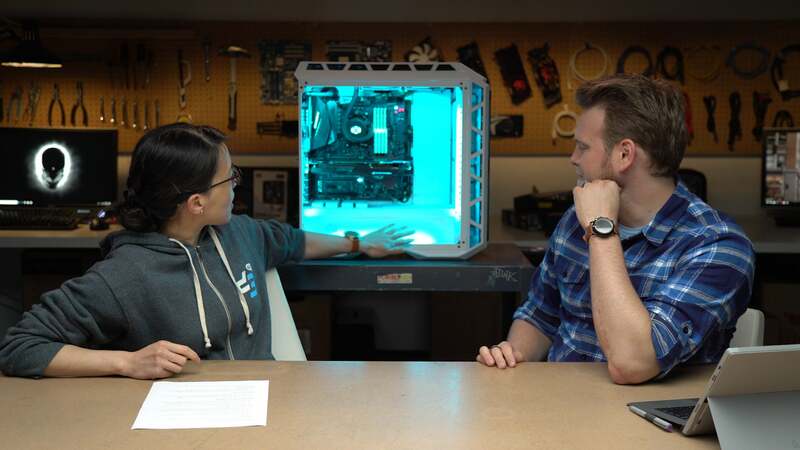 We've committed to a gratuitous amount of colorful PC lighting in this build—for educational purposes, of course. Watch us build it live! Whether you love them or hate them, it's hard to ignore the number of PC components with RGB lights. 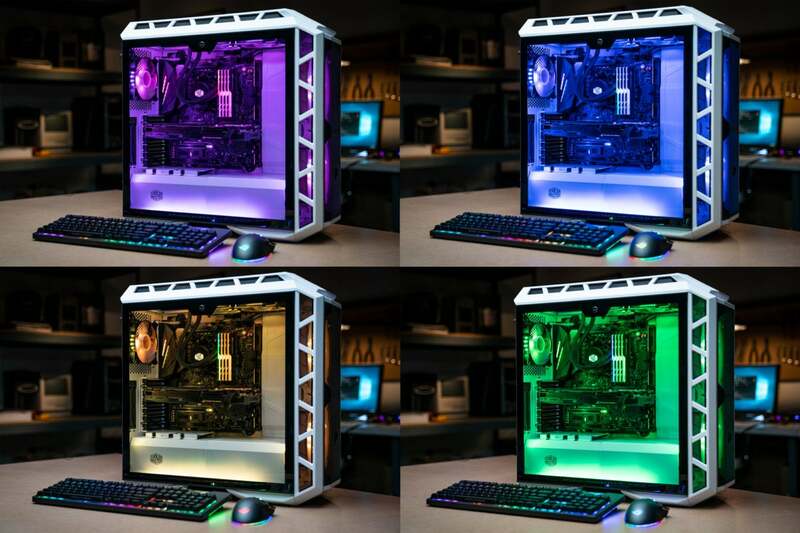 Multi-colored PC lighting has crept into almost every category out there—even sound cards and power supplies. What's less clear is just how easy it is to build a system entirely of RGB parts and then simultaneously control all of the lighting. 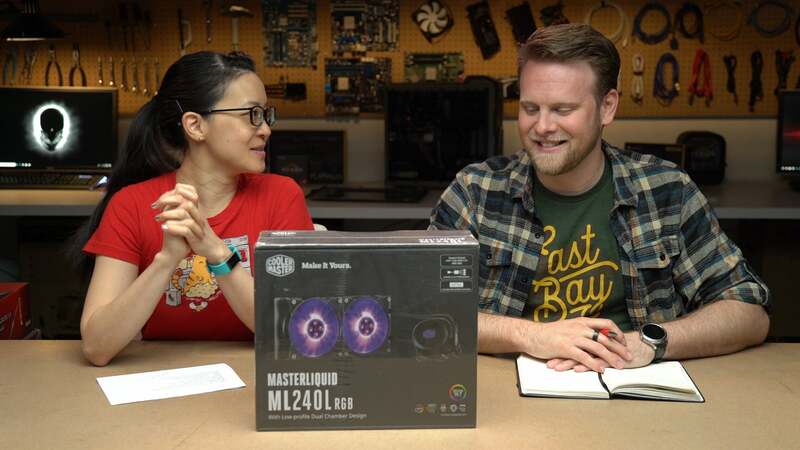 So to put it to the test, we're building a PC that houses as many RGB components as possible. When choosing the parts for this build—which we've affectionately dubbed our "Viva Las Vegas" machine—it became clear that even four years into this RGB fad, you can't throw together whichever components you want and expect to control them through a single interface. You have to commit to an ecosystem. The main options are Asus Aura Sync, Gigabyte RGB Fusion, and MSI Mystic Light. Each has their advantages and disadvantages: For example, Asus Aura Sync supports a wider selection of third-party coolers and fans, while you can use third-party keyboards and mice with Gigabyte RGB Fusion. For this build, we chose Aura Sync to tie everything together, due to the availability of components we wanted. That did limit our options—we had to give up on the Corsair 570X as a case early on, for instance, because we didn't want to run different control interfaces simultaneously. We still found plenty of RGB components to stuff inside our rig, though we did skip two instances. Because the case will hide the PSU and storage from view, it's unnecessary to buy RGB versions. Overall, we're aiming for a high-end consumer PC that puts extra money toward upgraded materials and RGB aesthetics instead of raw hardware performance. For the final stage of our build, we'll focus how easy it is to control all the lights. Current top goal: Getting them to flash when a pizza delivery person shows up at our door. After hours spent on cable management and deliberate insertion of yet more RGB strips, our light-packed PC is complete at last. In our humble opinion, its final form gives the Vegas Strip a solid run for its money. With such an emphasis on looks for this project, our thoughts on the build run a whole gamut of highlights and disappointments. Check out our post-mortem discussion in the video above for the complete details…and a special bonus. Spoiler: We couldn’t get our PC to change colors when the pizza delivery person showed up. The heartbreak is still fresh.